Today I became the proud owner of a Stealth RTT and K9 roof rack. What a beautiful product [and no gaps]. It was a lovely surprise to learn that inside were a mattress cover and external fused wiring for the external DIN socket. I was also delighted by the sales and fitting service provided to me by Phill and Heather at APB Trading. APB Trading Ltd is a great ambassador for your products in the UK. I was also delighted by the sales and fitting service provided to me by Phill and Heather at APB Trading. APB Trading Ltd is a great ambassador for your products in the UK. Top customer service, much appreciated. I just wanted to say a huge thank you to you all at APB. Your service from beginning to end has been fantastic. You will definitely be my first port of call for any future needs and advice. Recently had a Bushtech canopy fitted by the people at APB. Absolutely 5 star service from start to finish. The product is one of the best in the world and the advice and fitting service I received was just as good. An enormous improvement on the old back we had on the pickup. The bushtech top has improved life tremendously. The sides opening means loading is so much easier than trying to crawl inside and bang your head and hurt your knees. And several people can be accessing the back at once and utilise the whole space. We opted for the side compartment which is perfect for easy access storage or keeping things dry when you have wet dogs. live without this! Its a crowd pleaser to, drawing fascination every time i get out of the canopy and set it up in seconds and when I put it away. It’s is light and the legs come out by themselves with a slight pull. Very very quick and easy. Throw a table cloth over it and the entertainment begins, especially for the corporate entertainment we do. It’s sets a standard. The interior LED light is another life saver, no more holding a torch in my mouth or fumbling about with a dog trying to lick you. Bright light with several levels illuminates the whole back area. We have had it nearly 18 months this it shows no sign of wear at all. Easy to open and lock. APB service was superb no trouble, they also fitted air vents for me for the dogs. They are very friendly and helpful. With loads of experience. Over the last 4 years APB has helped me with building an overland vehicle to travel through southern Africa within the next few years. All their products are top quality and the fitment of the canopy was exceptional. When my alternator decided to give up on me, they were ready to assist, and the delivery was made in record time. Definitely a company that can be trusted and people that are experts in the field of overlanding! Things are going well with the trip and we’re now in Namibia after 4 weeks in South Africa. All purchases holding up well – especially the fridge which is a boon in this heat. Thank you for your prompt, courteous and efficient service! Compared to other so called ‘Prominent’ U.K based L-R parts suppliers you are MILES ahead. They accept orders (and payment!) for parts they don’t have and communicate (email) with vagueness and ambiguity. In short, they are utterly hopeless! For all of my future parts needs you will be my first point of contact. Just like to say many thanks for sorting my Freelander it is now running as new. Thanks again. Many thanks to you and the team at APB Trading for going that extra mile to get my roof tent to me safe and sound. Customer service was excellent from start to finish and I look forward to dealing the APB in the future. The tent is now on the Landy and we wait for a weekend in the near future to try it out. Many thanks for the excellent and speedy service, much appreciated. Oh, and for not grumbling when I changed my order after it had been packed! Ten years ago I bought a Discovery 1 and equipped it for trips to overland travel. A National Luna Split Charge system was fitted and worked perfectly through 2 trips to Morocco and numerous camping trips I the UK. We have now bought a VW T5 Camper Van converted by very good conversion company but the split charge system they fitted didn’t isolate the vehicle battery when the engine was stopped and several times the vehicle struggled to start. There was only one solution ! Remembering how good the Discovery was we got APB to fit a A National Luna Split Charge system and have just had a week away and its performed perfectly ! We recently bought an Indel B 30 litre Fridge from you and it’s proved to be an excellent buy. 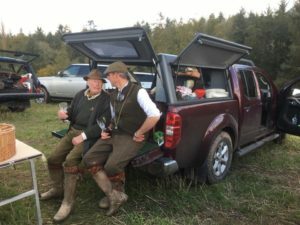 My wife and I took it to France in our VW T5 camper van for 10 days running as a freezer to supplement the fridge in the van. 3 days after we came back our son took it to Austria and Italy and it performed faultlessly throughout. Then at Christmas we ran it as a fridge to keep the cider and white wine cool. That’s one of the best buys I’ve made in ages ! Just to say what an excellent service you provided, from placing order to delivery in less than 24 hours! Very Happy, cheers. The awning was delivered yesterday and is mounted on Friday. I am very excited about the procedure and the fast delivery! Really very good! Thank you so much, you helped me a lot and at the next opportunity I will recommend you! Have a nice summer. I’m going in 3 weeks after Corsica and will test the awning directly! Thank you in particular for the excellent communication, as many other shops should learn from! This morning I received the slippers at home. The slippers are perfect!!! Thank you very much for the inconveniences that you have taken for send it to Spain. Just wanted to thank you for the amazing prompt service and delivery. I’ve just taken delivery of the Campmor Lapa Windbreak less than 24 hours after placing the order! Certainly great customer service which should always be commended. I’ll certainly order with you again. PS: the You-tube videos are an absolute must when trying to put the Campmor tent up using the vague instruction. I write with reference to the Escape Cotton Canvas Covers that you recently supplied for my Toyota Hilux. These arrived the other day and are now fitted. The fitting was a little fiddly, however I must say that it was well worth the effort. They have now transformed the interior of the truck, and give the Hilux a car like interior. What’s more they look good and are most comfortable, especially in the recent hot weather. Many thanks for your recommendation. Just a shI would like to pass on my thanks to all at APB for their hard work, advice and attention to detail, it made all the difference. It was a long job but so worth it and from start to finish you all listened; took on board all our ideas, suggested some better ones sometimes! kept us informed; then made it happen. 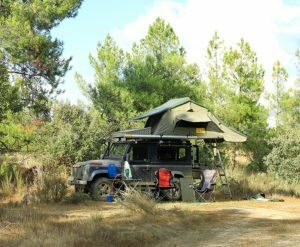 Just a short note to thank you for all your help and advice when preparing my Disco 3 for overland travel. The products you have supplied and fitted are first class and have exceeded my expectations. The friendliness of all your staff and their dedication to providing a professional service makes it a pleasure to do business with you and your company, I look forward to seeing you all soon when the D3 needs its next service.